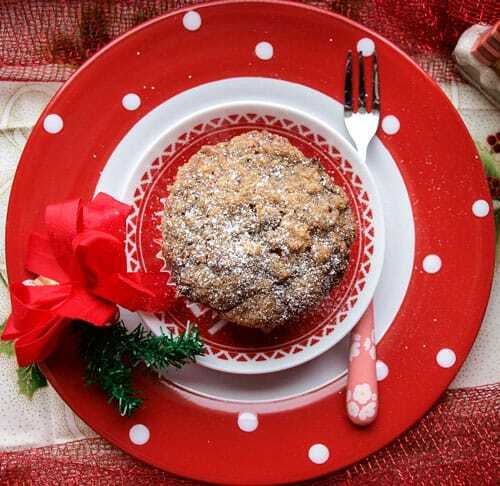 Easy Festive Apple and Mincemeat Streusel Muffins are simply made with ingredients you probably already have in your larder, they are ideal to serve for a Christmas breakfast or as a sweet treat at any time of day. I think you’ll love them! 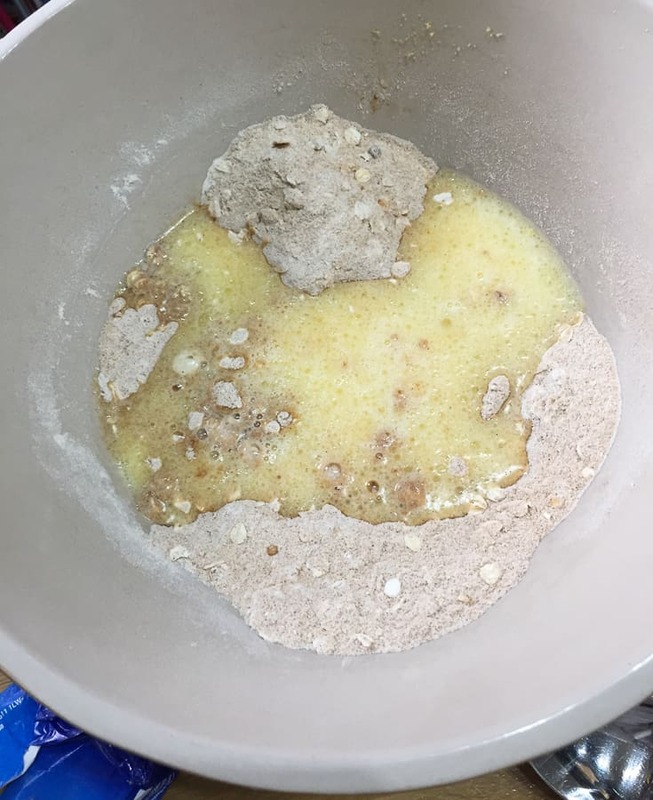 Put the flour, oats, sugar, and cinnamon in a large bowl and mix them together. In another bowl, beat the egg and stir in the milk and oil, then gently stir the wet ingredients into the dry ingredients until just combined. Add the mincemeat and the chopped apple and gently fold into the muffin mixture. 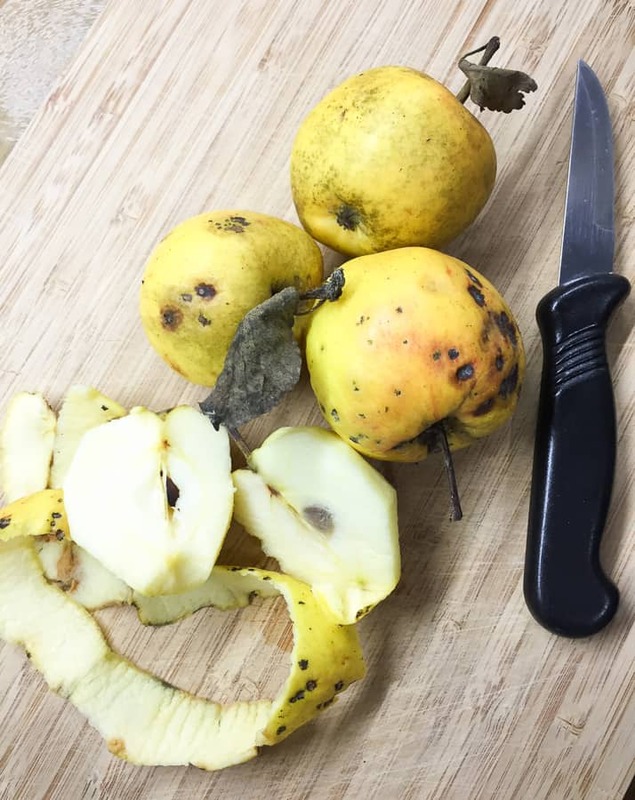 I used windfall apples from my apple tree, but any firm eating apple would be suitable. 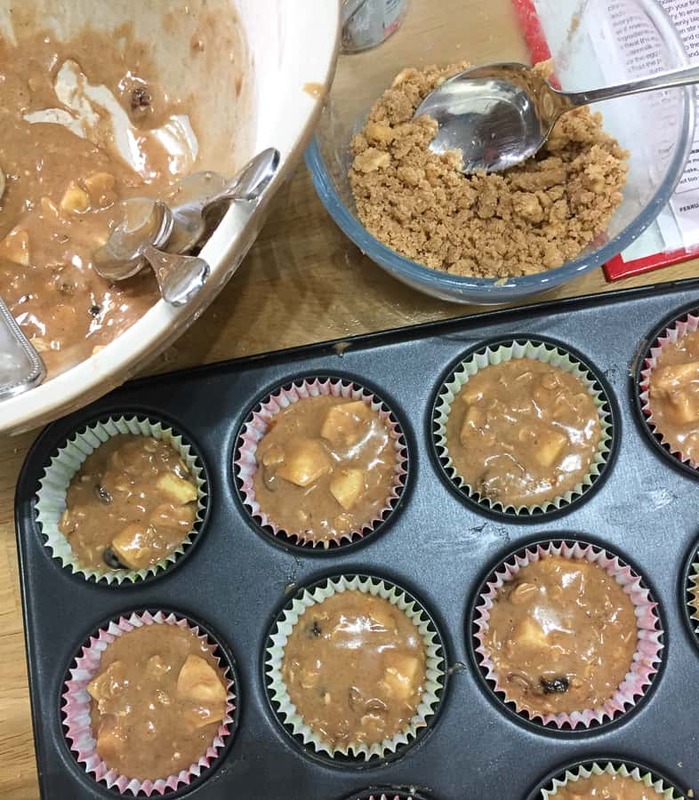 Divide the mixture between the 12 muffin cases and fill to the top, then sprinkle 1 tsp of the Streusel mixture onto each of the muffins and bake. 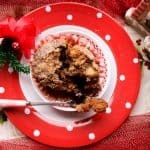 You'll love Easy Festive Apple and Mincemeat Streusel Muffins, full of festive spicy flavours with a crisp Streusel topping, ideal for breakfast or anytime. 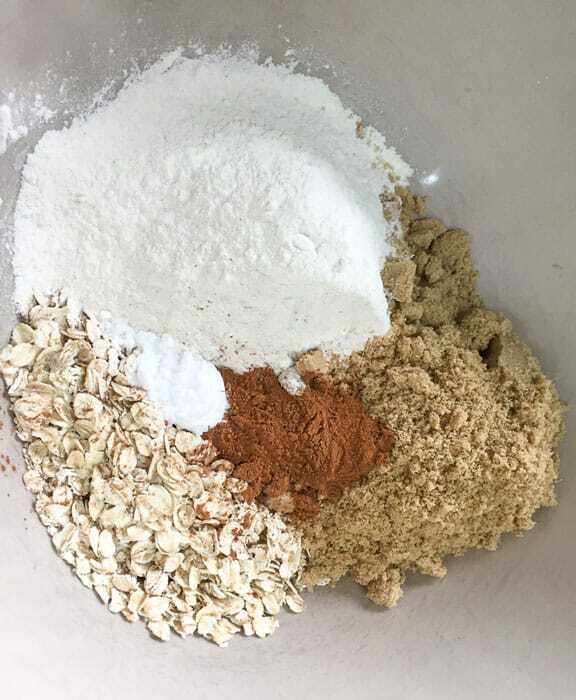 Put the flour, oats, sugar and cinnamon in a large bowl and mix them well together. 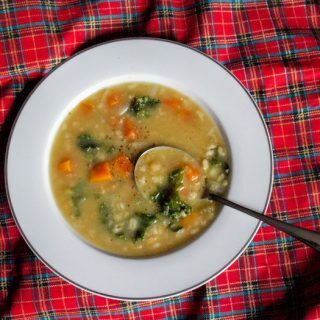 In another bowl, beat the egg, stir in the milk and oil. Gently stir the egg mixture into the dry ingredients, with a metal spoon or spatula, until the flour is 'just' mixed. 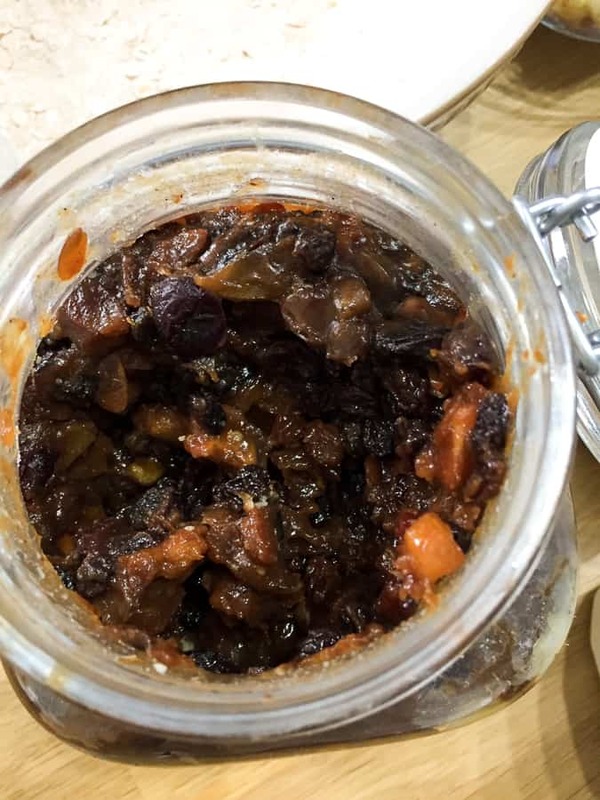 Fold in the chopped apple and mincemeat. Divide the mixture between the muffin cases, filling them to the brim. 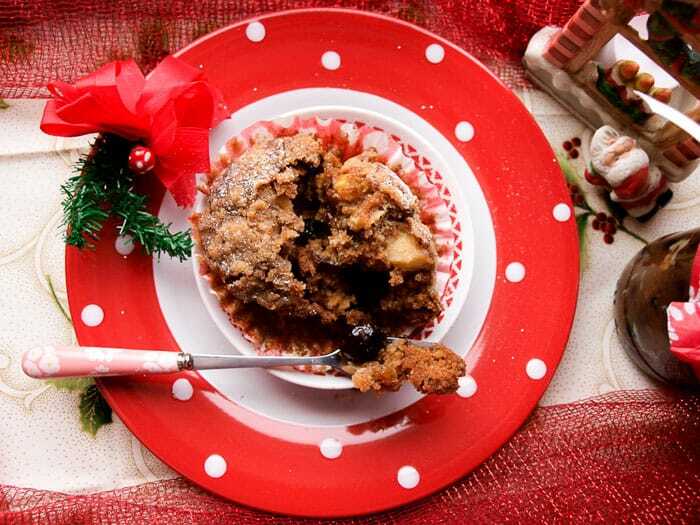 Sprinkle each muffin with a teaspoon of the Streusel mixture. 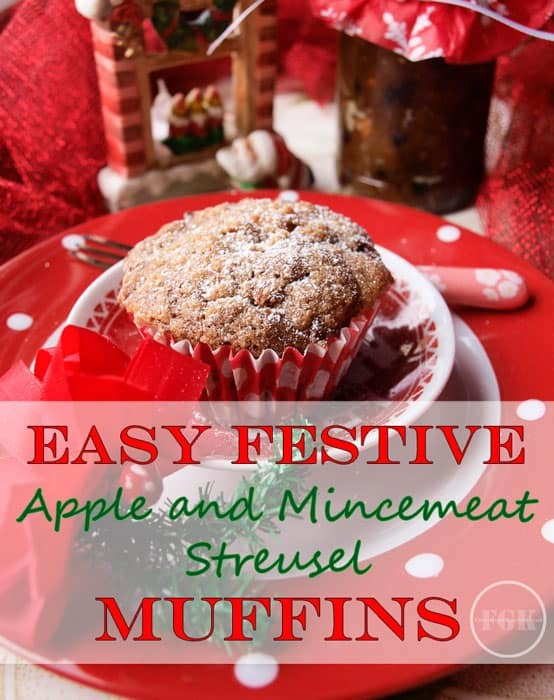 Easy Festive Apple and Mincemeat Streusel Muffins have a crisp sweet topping, then you break through into the soft muffins filled with juicy pieces of apple and mincemeat fruits. 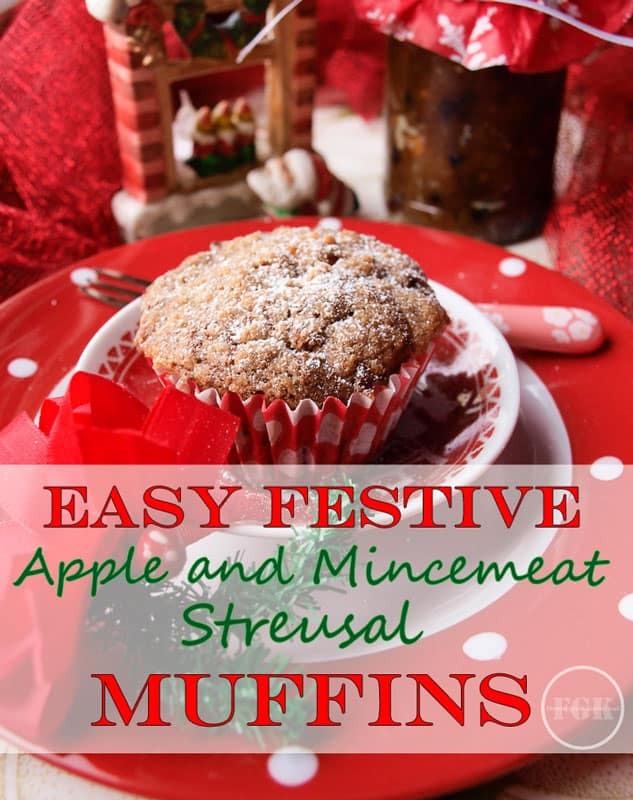 Loving these muffins, apples and mincemeat sound like a winning combination. Thank you. They are very moreish! 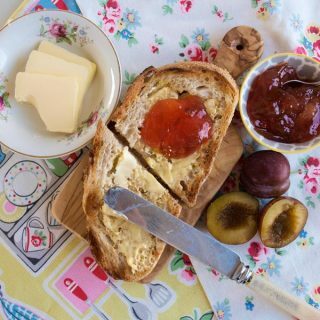 These sound delicious Janice 🙂 Perfect for a festive breakfast and I just so happen to have some apples that need using up. I LOVE a mincemeat muffin. All the teaste of a pie but witout any heavy pastry. 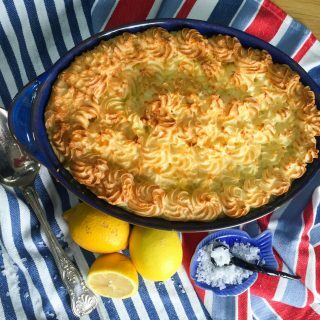 Great with a dollop of boozy cream too! Boozy cream sounds like an excellent idea! 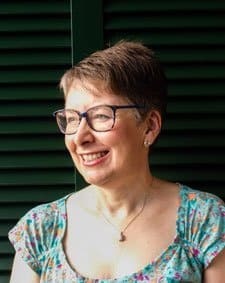 I am really interested in making muffins at the moment – will be pinning this for later! I go through phases with muffins, these ones are keepers! Janice, these muffins look absolutely delicious and particularly love the streusel topping. What gorgeous Christmas photos too! I knew someone had tagged me and I missed it. These look amazing Janice. I was just munching on a mince pie and would happily eat a few of these too. Not greedy at all! 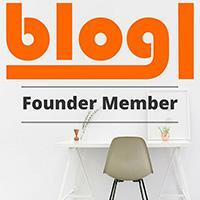 Shared! Thanks Jac. Mince pie season is definitely here! 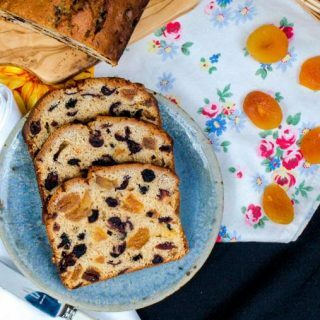 These sound just like something my Mum used to make us for our festive school lunchboxes! What lovely lunch boxes you must have had Emma.